US President Donald Trump and Saudi King Salman Bin Abdulaziz Al Saud discussed over the telephone the alleged threat that Iran poses and the continuing danger of extremist ideologies and terror groups in the region, according to the White House readout. 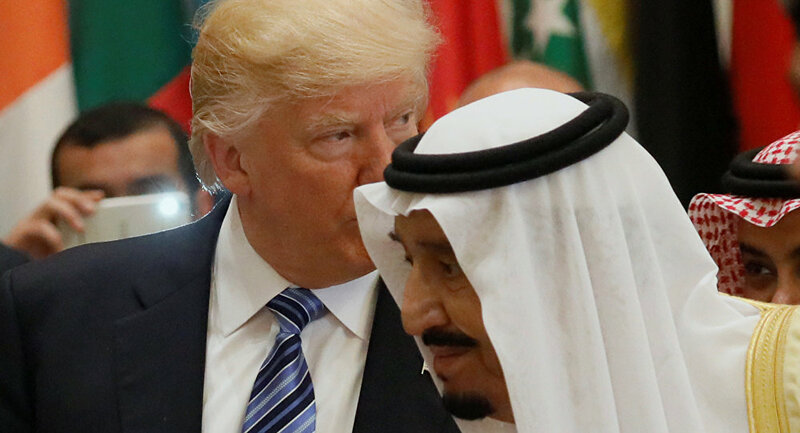 WASHINGTON (Sputnik) — US President Donald Trump and Saudi King Salman Bin Abdulaziz Al Saud discussed over the telephone the alleged threat that Iran poses and the continuing danger of extremist ideologies and terror groups in the region, the White House said in a readout. "President Trump and King Salman also discussed the need to defeat terrorism, cut off terrorist funding, and combat extremist ideology," the readout said on Wednesday. "The two leaders also addressed the threat Iran poses to the region." Trump also urged King Salman that all parties to the Qatar dispute find a diplomatic resolution that follows through on their commitments made at the Riyadh Summit, the readout added. Saudi Arabia's New Heir: What Should Moscow Expect From the 'Saudi Trump'?